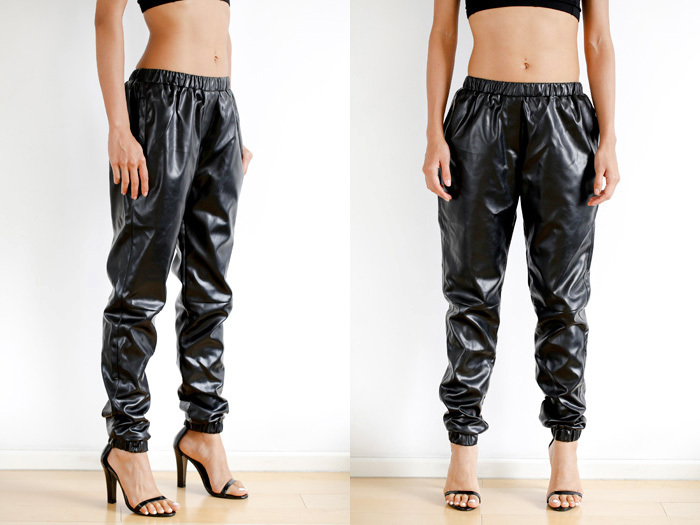 Oh leather track pants, how long I have sought after you! And now you have been found. It’s the quintessential sportswear item that every girl should have in her closet. I like to wear mine with heels and a big tee shirt or a chunky sweater. I have yet to make the leap over to Phoebe territory and wear them with my Nikes, but we’ll see…how do you wear yours? Love how you paired them, so cool! I especially love the edginess of your shirt in the first pic. I love the edginess of your shirt in the first pic.